User Experience/ Design Services | GleeTech - Lets build intelligent Apps together. Our designers have up to date knowledge and make predictions for future trends in design. When it comes to software design, user experience is the key to building an effective product. The GleeTech design experts take a comprehensive approach to user experience, using up-to- date knowledge and predictions for future trends in design. 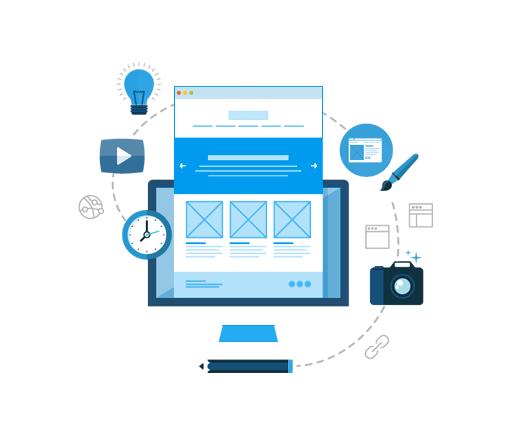 Stand out against your competition with stunning website, logo, and mobile application designs and various customization themes for open source software like WordPress, Drupal, and SilverStripe. Our custom developed graphical user stories make up the different movements of visitors and drive customers to value our products. Reach out to GleeTech with your needs and receive a free design sample. Get a Free Design: GleeTech provides all sorts of User Experience/Design solutions and makes free logos for the startups. Send a message to see if you qualify for free logo and one design screen today.